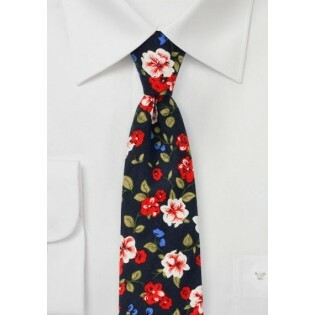 This fun floral tie in dark midnight blue features an all-over floral print in white, red, royal blue, and green. 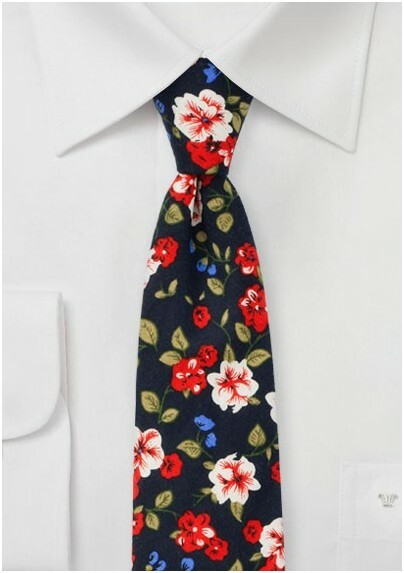 While nice to add to classic suits, this tie looks even better when worn with a more casual outfit of dark chinos, chambray cotton shirt, and rustic leather suspenders. Handmade from finest cotton by Neckwear designer BlackBird.